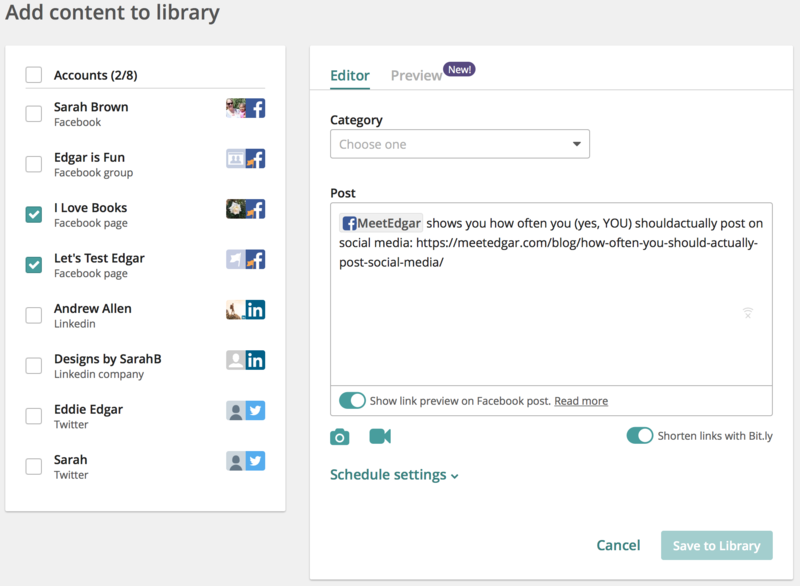 Edgar can tag Facebook pages when you are publishing to your Facebook page. At this time, tags are not available for Facebook groups. To tag another page on Facebook, select at least one Facebook page in the accounts section at the left. 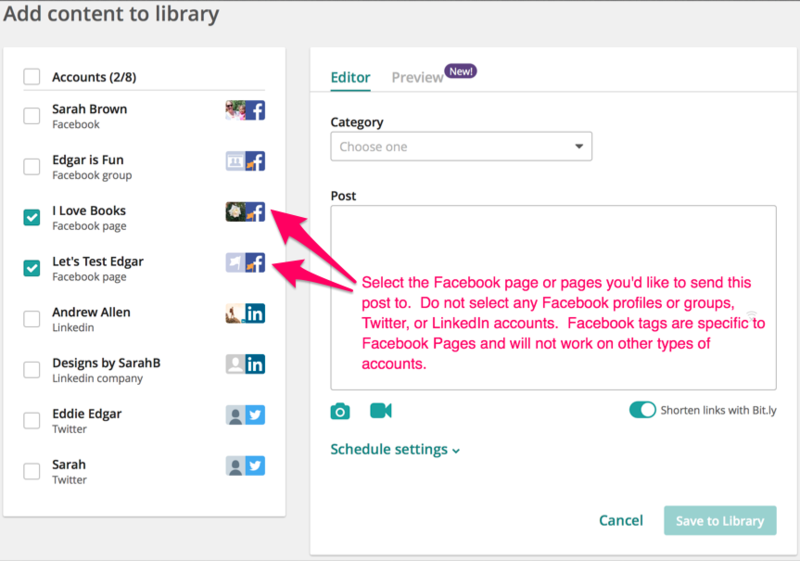 Do not select Twitter, LinkedIn, or Facebook group accounts as these tags are specific to Facebook pages only. To create the tag, type the @ symbol and begin typing the name of the page you'd like to tag. Edgar will show you a drop down list of pages that match the @tag. Select the page you want to tag, and Edgar will create the tag. Finish making any additional edits to your post, preview the post on the previews tab, and save it. 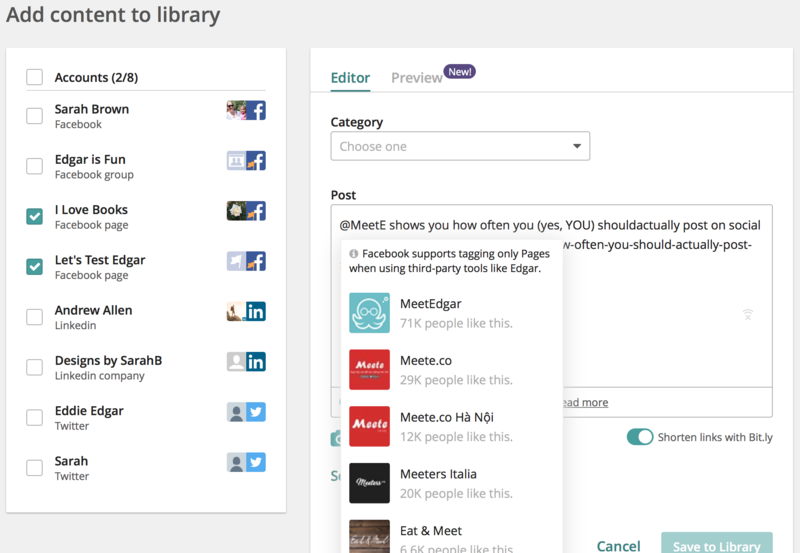 Posts with tags will display the tag in the Library and the Queue. **Note: Content imported from RSS must have the post text and any @tags entered manually in the Facebook text box. The suggested text box should not contain any @tags.